Yesterday was a busy day. It was the fourth birthday of Raspberry Pi, as well as the launch of the Raspberry Pi 3 Model B. As I was cruising Facebook, something familiar appeared. 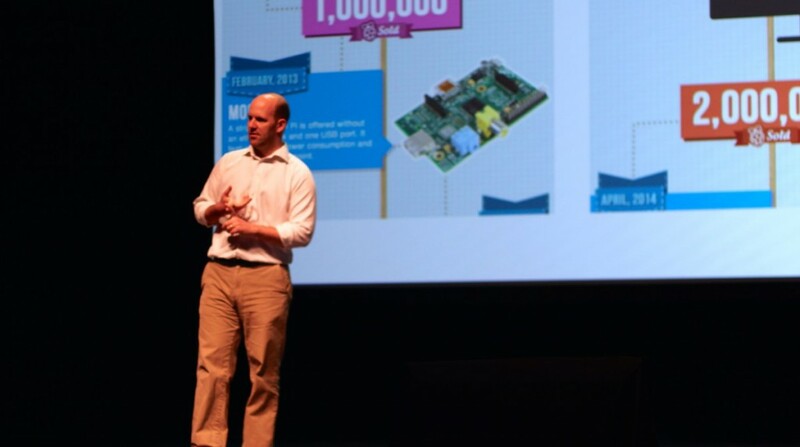 The hero image of a Make: post featured a picture of Eben Upton, the founder of the Raspberry Pi giving a talk. In the background was a huge screen, which was filled with an infographic/illustration I did for MCM on the Pi’s third birthday. I thought that was pretty neat. I only wish I knew more details about where that presentation was given. 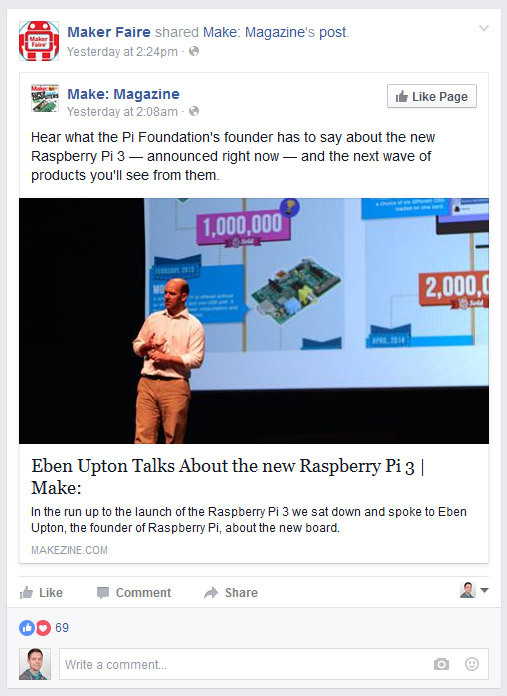 Edit – Thanks a ton to Matt Richardson and Courtney Lentz, who pointed out this was at MakerCon Bay Area 2015. Anyhow, here is a full version of the illustration that was shown in the background.